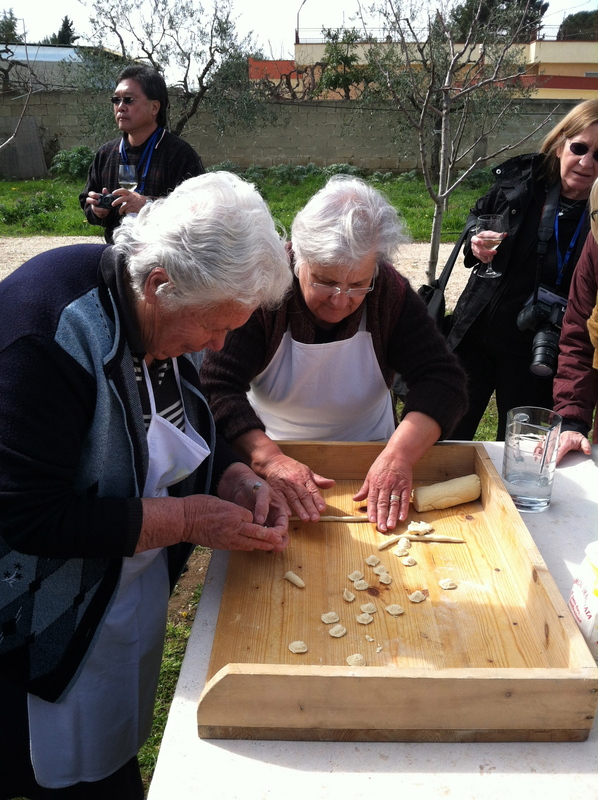 Award-winning chef Ana Sortun, Oldways, and Oldways Italia ventured to Puglia for a week-long journey of food, wine, cooking, history and culture in the heel of Italy’s boot. 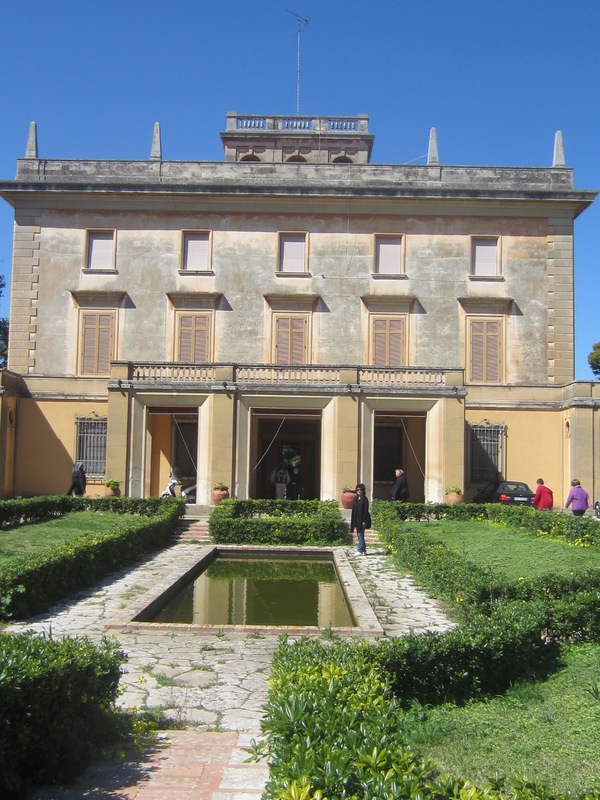 The group stayed in two beautiful and very diﬀerent cities, ﬁrst, Conversano, a quaint medieval town just south of Bari, and then the beautiful Baroque city of Lecce, in the Salento, the southern most part of Puglia. From Conversano, the group fanned out north, west and south for the ﬁrst ﬁve days, and then moved to Lecce for the ﬁnal two days of the Apulian experience (see below for more details). Olive oil, nuts, beans, ﬁsh, fruits and vegetables, and pasta (with a bit of wine) are the staples of the healthy Mediterranean Diet, and Puglia is a perfect place to fully experience the culinary pleasures of the Mediterranean Diet. For more information on the Culinaria, including visits to a few of Puglia’s enchanting small towns and larger bustling cities; visits to Masseria, agroturismos, food and olive oil producers, cultural treasures; and splendid restaurant meals and cooking classes with Ana Sortun, please see the itinerary and photos below, and read the Oldways Table Blog. Travelers Arrive at Hotel Corte Altavilla in Conversano, Puglia. Meet for an opening session which includes an introduction to the Mediterranean Diet, and a wine tasting led by Apulian wine expert and wine producer, Gregory Perrucci. Followed by dinner on rooftop of Hotel Corte Altavilla. Guided visit to Castel del Monte. 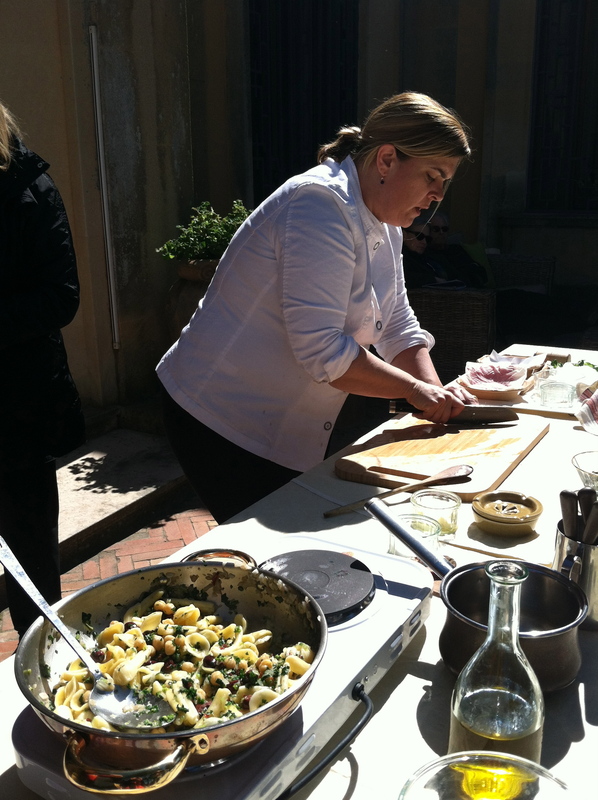 Lunch at Antichi Sapori in Montegrosso, tour of Chef Pietro Zito’s garden, orecchiette demonstration by chef’s mother. Visit to Trani Cathedral. 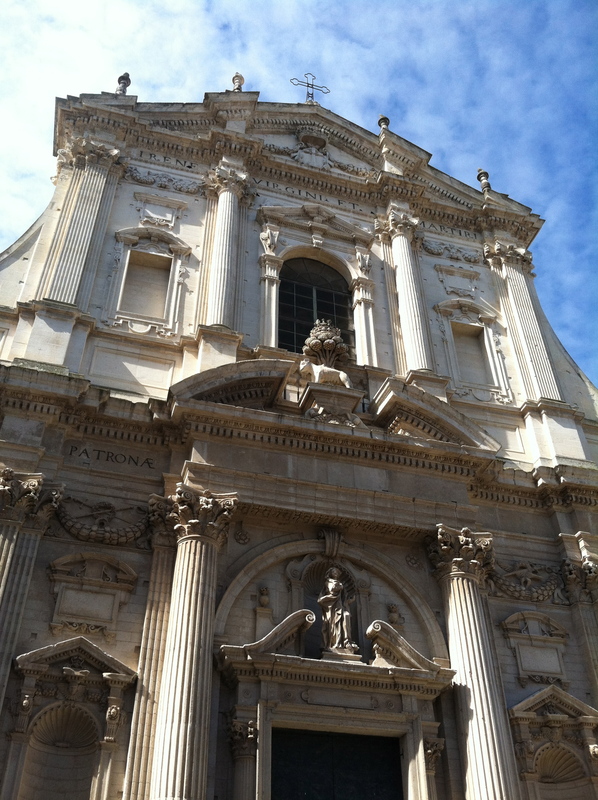 Travel to regional capital of Puglia, Bari, for a tour of the Farmers market and ﬁsh market. Stroll through Old Town Bari to potluck lunch in Piazza of Old Town Bari. Dinner and panzerotti lesson at agroturismo Casina dei Preti in the Outskirts of Conversano. 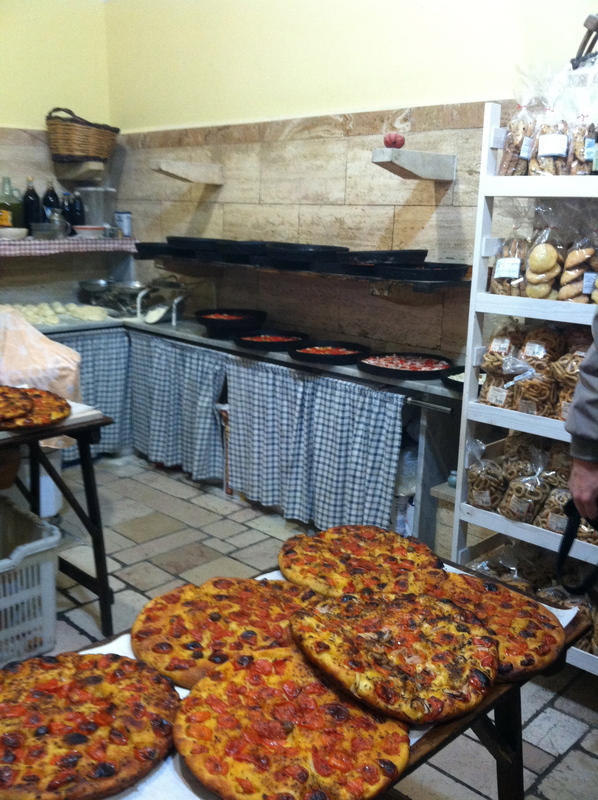 Visit to Altamura and Forno di Santa Chiara to learn about the bread of Altamura and taste Foccacia. Guided Visit of Matera and the Sassi, a UNESCO World Heritage Site in the region of Basilicata. Lunch at Madonna della Stella in a cave in Gravina, guided tasting of Cheeses by expert Roberto Rubino, Cola Cola traditional dance demonstration. Depart Conversano. Visit rocky seaside town of Polignano a Mare followed by Masseria Il Frantoio in Ostuni to tour citrus groves and olive oil mill. Olive oil tasting and apertivo. Departure for Lecce. Vegetarian Dinner at local favorite Le Zie. Guided visit of Baroque town of Lecce. 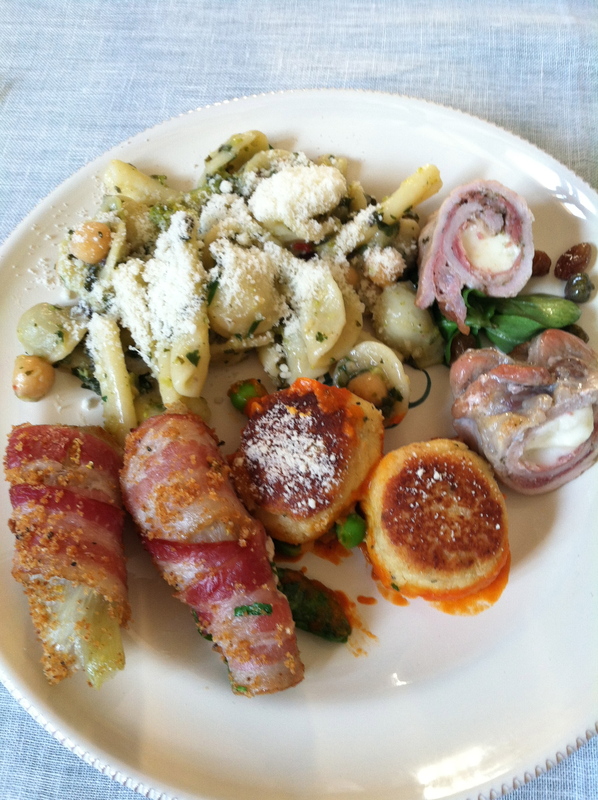 Cooking Class and Lunch with Ana Sortun at Villa Reale, Private Villa in Lecce. Demonstration on the terrace followed by lunch paired with wines made by the Reale family. Visit to Otronto, seaside town on the Adriatic coast. 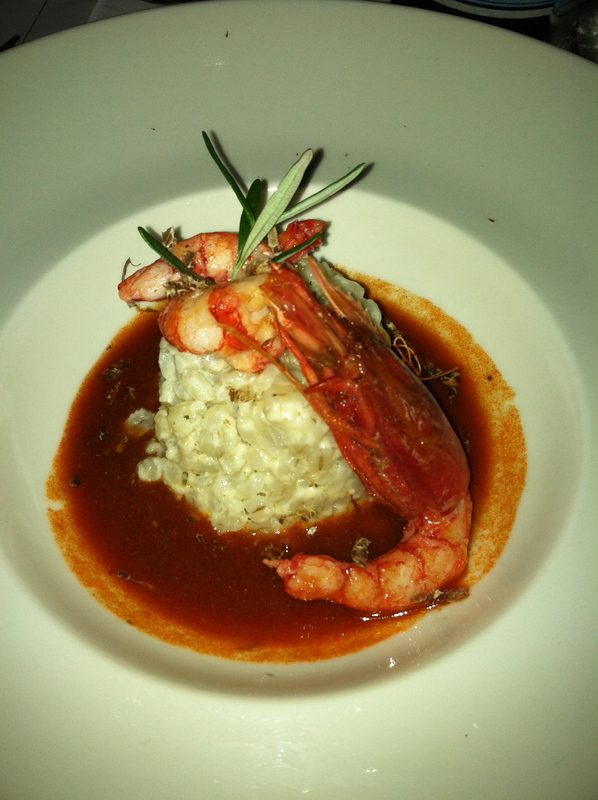 Final dinner at Blu Notte in Lecce. 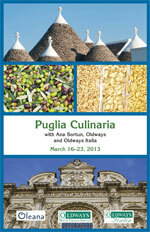 This program provides a day-by-day itinerary of the trip, information about the culture and foods of Puglia, and recipes from Ana Sortun’s cooking demonstrations.